Are you telling the RIGHT story in your fundraising? Will you take the Red Pen Challenge? Are you making a specific fundraising offer or reverting to "join us"? 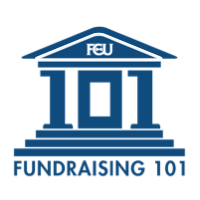 Now you can receive fundraising training right to your inbox, and as an added bonus, you'll receive "21 Ways for Board Members to Engage in Fundraising" e-book for free! Please send me the tips! We respect your privacy and will not share, sell, or violate your confidential information.